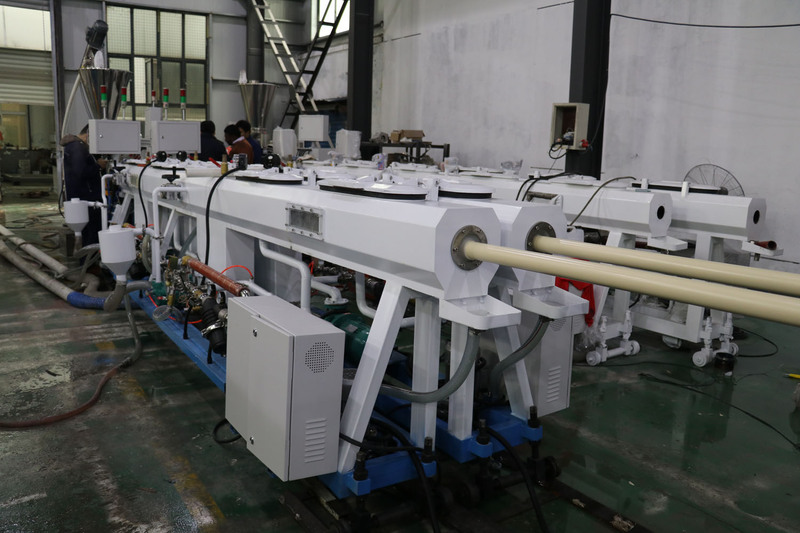 CPVC Dual-Pipe Extrusion Line from China Manufacturer - GPM Machinery(shanghai)Co.,Ltd. 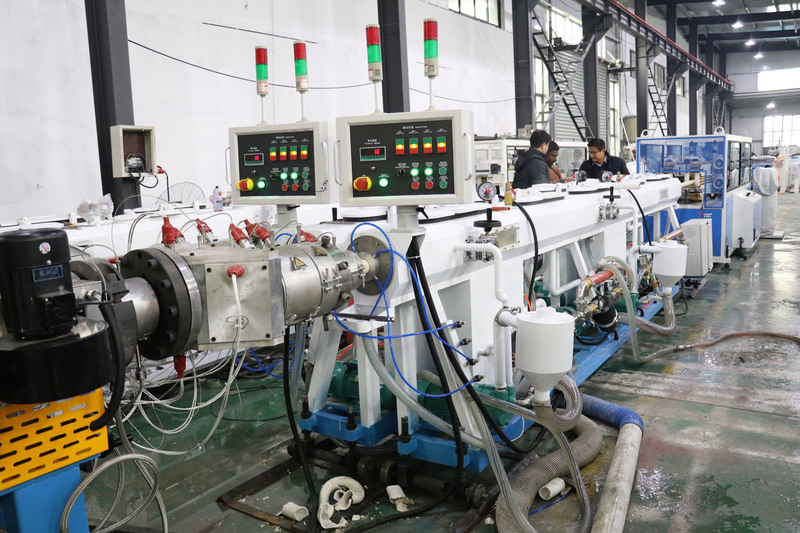 CPVC Pipe Extrusion Line is composed of conical double screw extruder, mould, vacuum molding & cooling water tank, haul-off unit, cutter, stacker, electrical control system, crusher, hot and cooling mixer, spare parts and so on.The extruder adopts frequency conversion.The screw core adopts automatic system to control the temperature.The screw adopts specially designed super cone structure. The output can be increased by 50% and the power can be 20-30% saved. 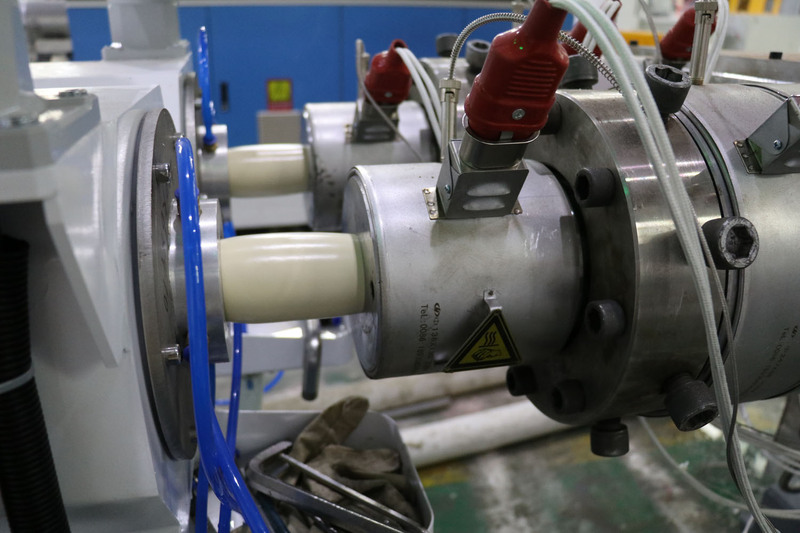 Hardened reducer can continuous trouble-free operation. All units integrated design,the host and the auxiliary work at the same time. It’s an ideal line for production of pipes with high efficiency, high performance, high stability. 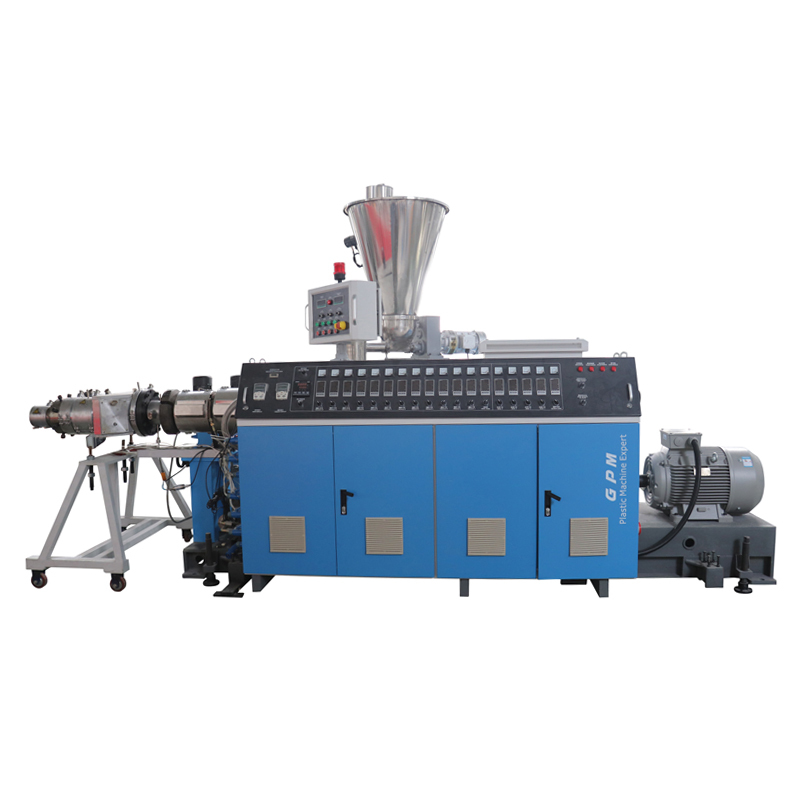 GZ Series Conical Twin Screw Extruder is suitable for the extrusion of all kinds of CPVC materials, and UPVC, etc. 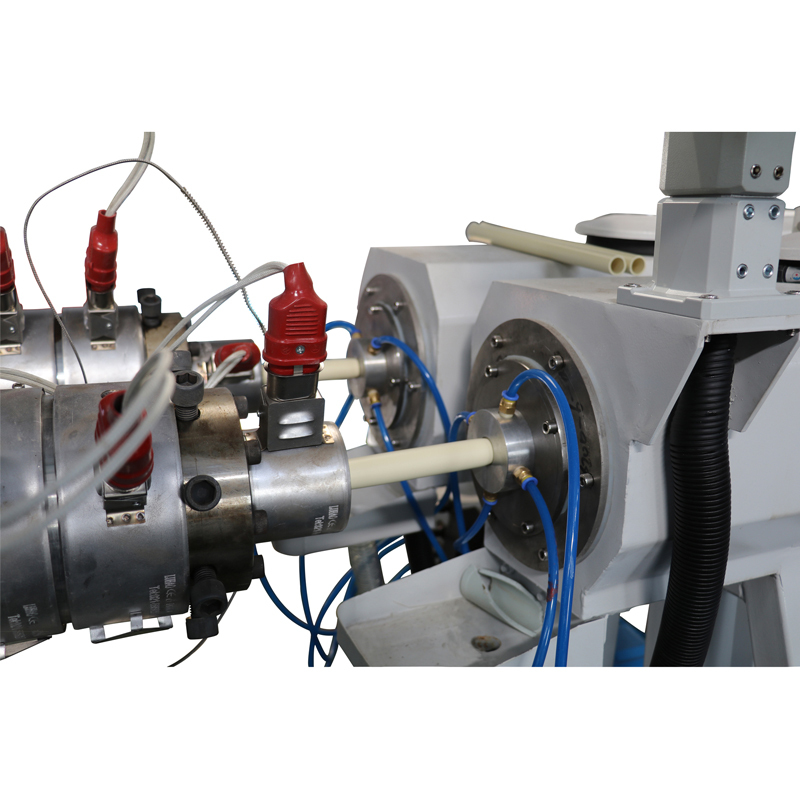 Special vertical integrated gearbox system, high torque, high output. 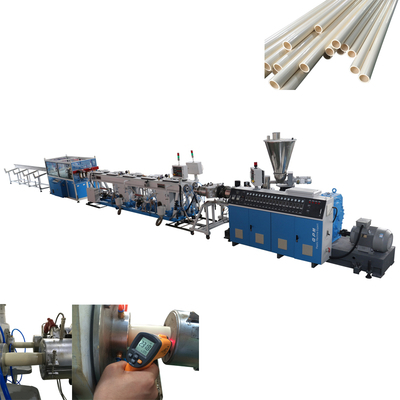 CPVC Pipe Making Machine is composed of conical double screw extruder, mould, vacuum molding & cooling water tank, haul-off unit, cutter, stacker, electrical control system, crusher, hot and cooling mixer, spare parts and so on.The extruder adopts frequency conversion.The screw core adopts automatic system to control the temperature.The screw adopts specially designed super cone structure. The output can be increased by 50% and the power can be 20-30% saved. 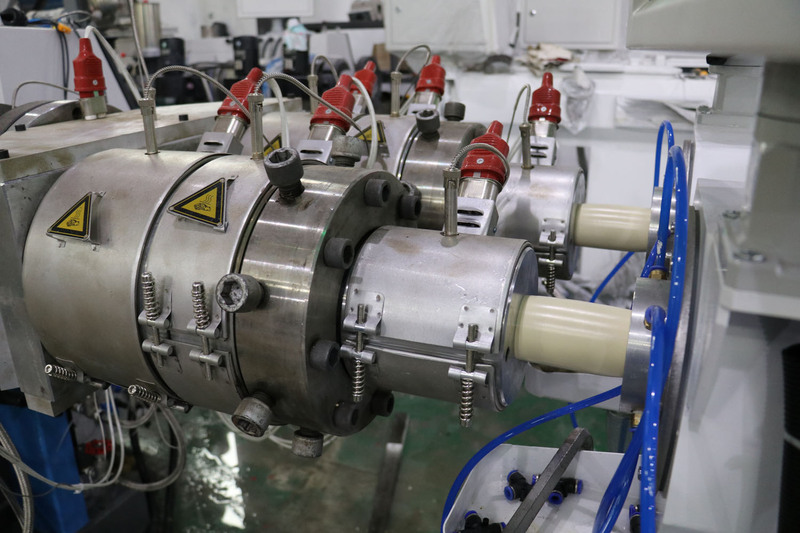 Hardened reducer can continuous trouble-free operation. All units integrated design,the host and the auxiliary work at the same time. 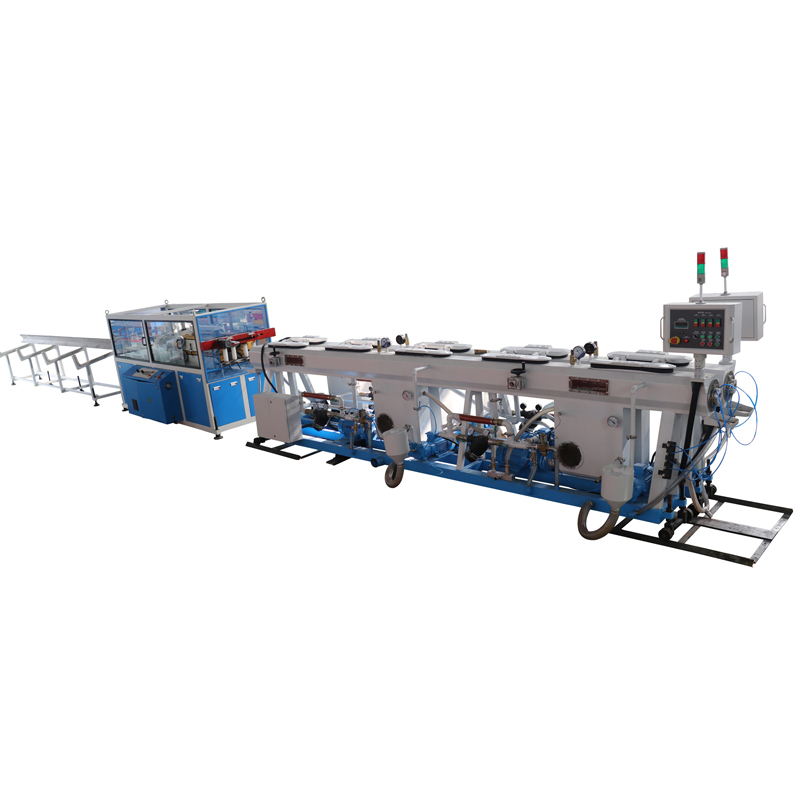 It’s an ideal line for production of pipes with high efficiency, high performance, high stability. 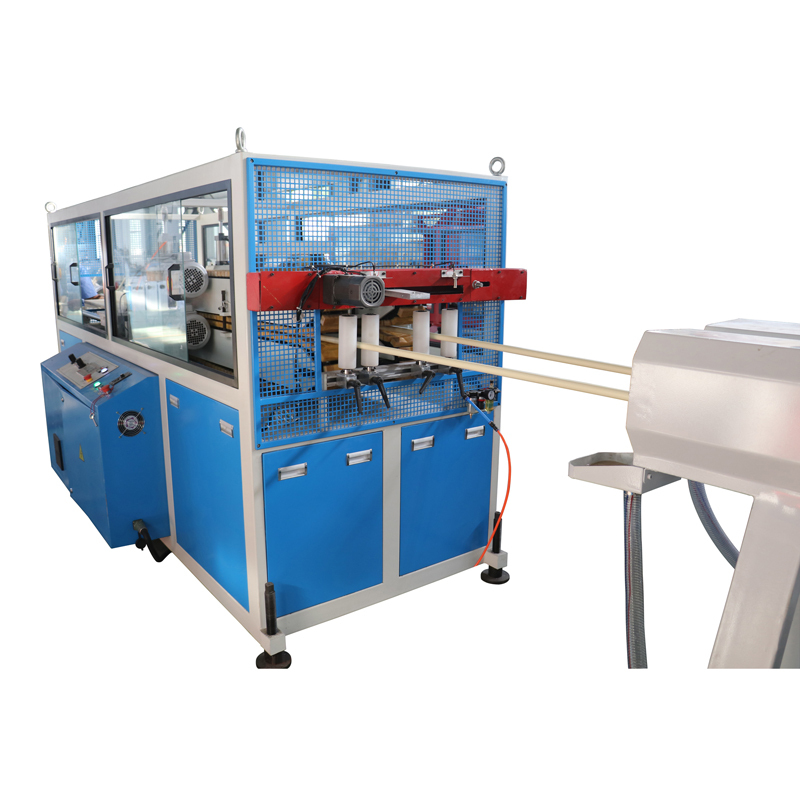 1) Unique screw design structure and processing technology, maximum ensured the plasticization of CPVC raw material and the match of temperature. 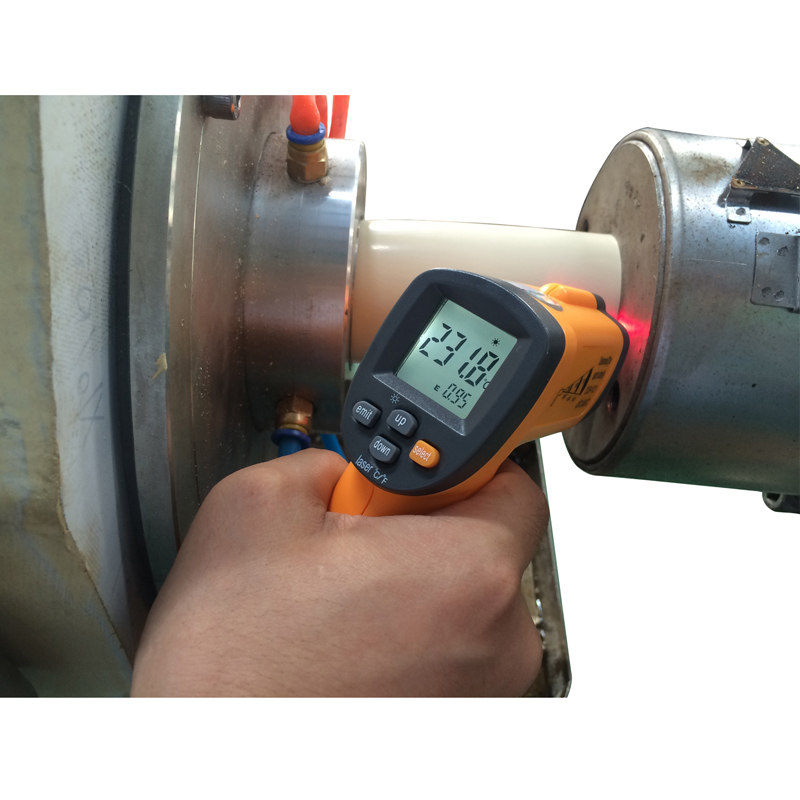 2) Various precise temperature control mode, meet the technology requirements of CPVC. 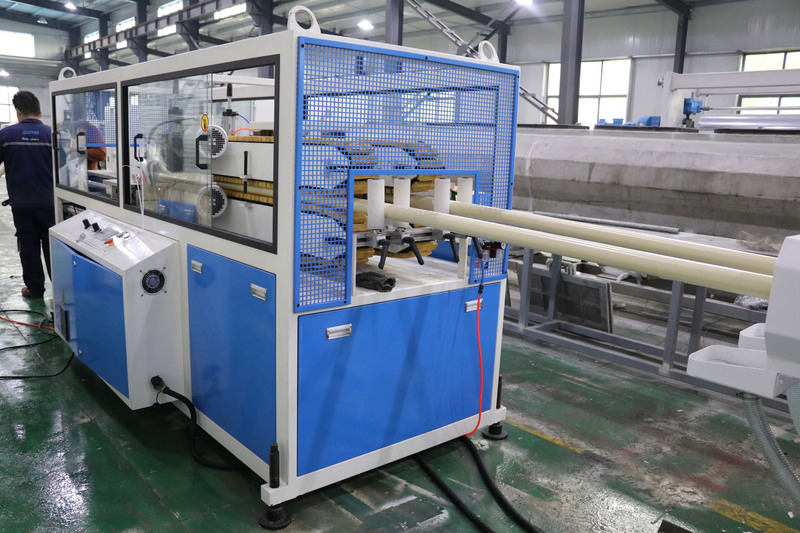 3) Special mold design, achieve the stability of CPVC melt and extrusion. 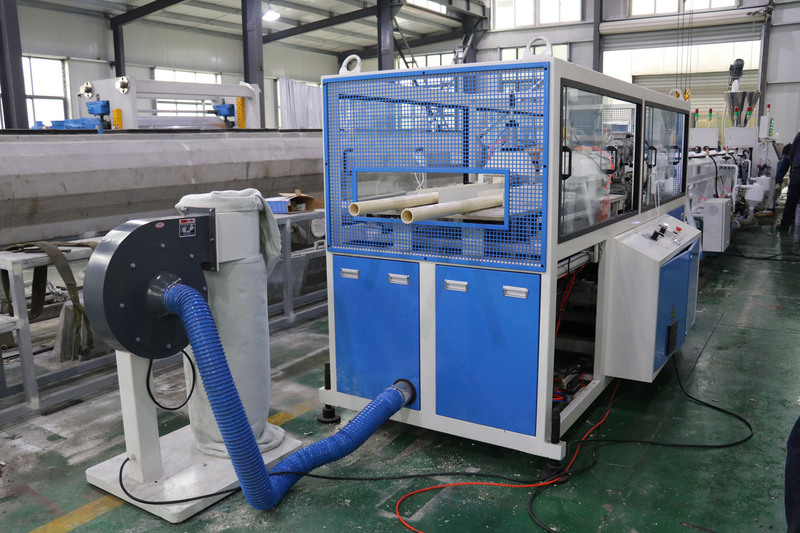 4) According to customers’ requirements, design a single pipe or double pipe extrusion, high efficiency and productivity. 5. 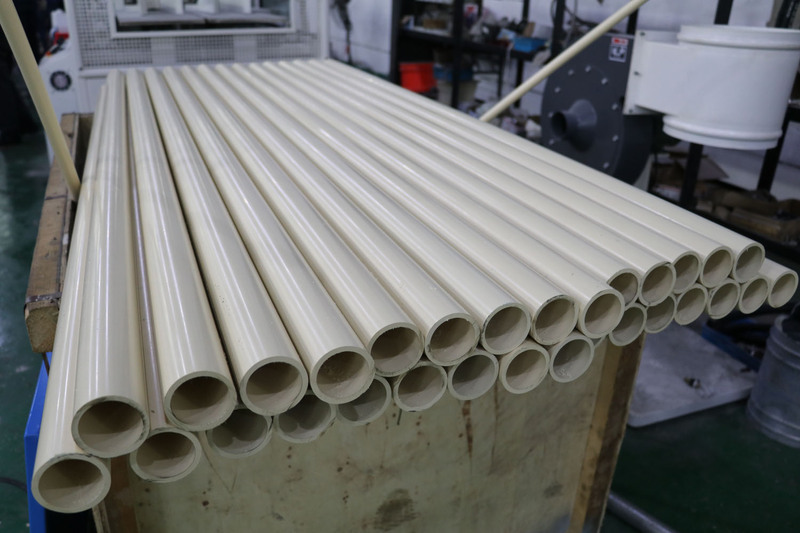 CPVC stable extrusion temperature controlled at 220-230 degree Celsius, achieved the pipe’s best performance. 7) Better chemical resistance, thermal resistance, and weather resistance. 8) It won't be affected by the chlorine in the water, keeps the quality of water. 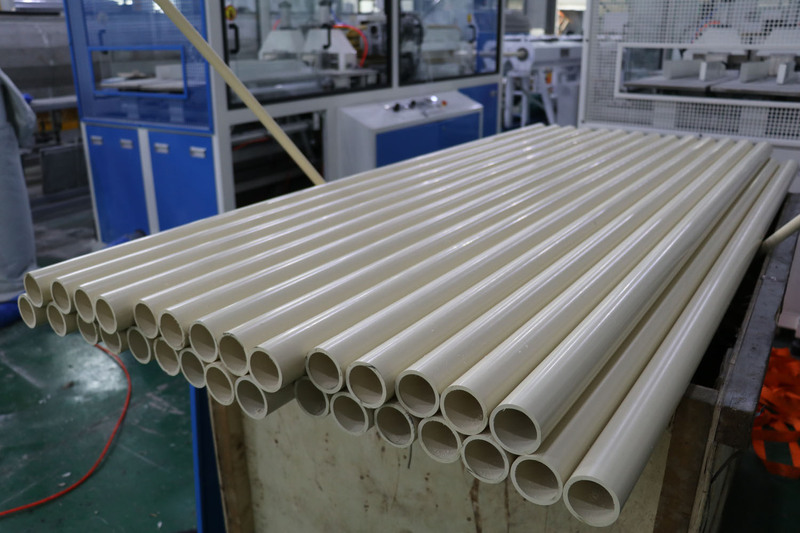 9) High temperature resistance, can bear 110 degree celsius, better than the ppr in supplying hot water.